At 50 Degrees North, we are often asked where is the best location to see the Northern Lights. The entire area around and above the Arctic Circle is well known for the magical phenomena of the Northern lights, or Aurora Borealis. 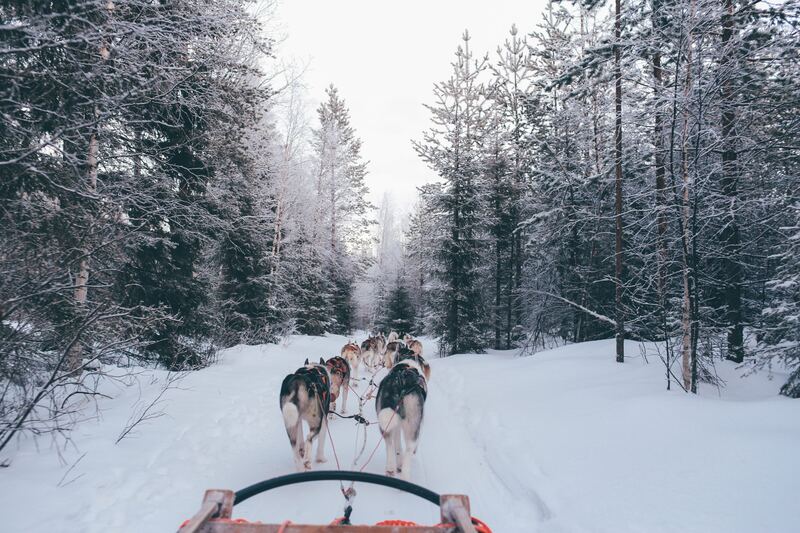 Sometimes the lights can be seen as far south as Helsinki, the capital of Finland, but for the best chance we recommend heading up to Lapland in Northern Finland. Kemi, Rovaniemi, Muonio, Ivalo, Kakslauttanen, Levi and Saariselkä are among our favourite destinations for seeing the Northern Lights in Finland. 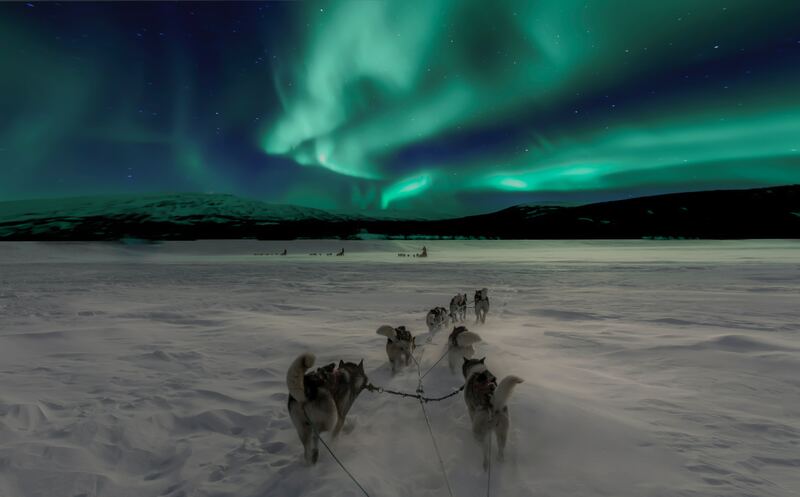 Our job as Destination Specialists at 50 Degrees North is not just to send you to the right location, but to create a unique tour package for you to maximise your chances of seeing the Northern Lights. Northern Lights cannot be guaranteed in any location, but our tours have been designed by local Scandinavians, and our tours include excursions and accommodation that increase your chances of seeing the Northern Lights in Finland. Stay in a glass igloo and see the Northern Lights in the comfort of room temperature; go on an evening snowmobiling, dogsledding or reindeer sledding safari and see the Northern Lights in the middle of wilderness; or just take a walk outside your log cabin or on one of the frozen lakes to witness the spectacular light snow. Some of our locations also offer a ’Northern Lights Alarm’ system, where you will be notified if the Northern Lights are up in the sky. Sometimes the sky can create a spectacular all night long Northern Lights show, and sometimes the lights may appear for just a couple of minutes. Remember that your own effort will increase your chances of seeing the lights. The Northern Lights season in Finland is between the autumn and spring equinox (21 September – 21 March), and to see the Northern Lights in Finland, it needs to be dark and cold with as little cloud as possible. Due to it’s inland position, Northern Finland tends to get snow earlier than the coastal areas of Scandinavia. The Finnish Lapland generally gets the year’s first snow cover in October or early November. From November to April, our Northern Lights winter tour packages include a lot of snow activities. December and early January is the darkest time of winter above the Arctic Circle. As the winter progresses, the daylight hours grow longer and you will see more of the beautiful snowy landscapes during the day while it still gets properly dark in the evenings to give you the best chance of seeing the Northern Lights in Finland. If you are travelling in September, you will be able to see the beautiful autumn colours, called ’ruska’ by the locals. The birch turns a gentle shade of yellow, aspen turns red, and the leaves of blueberry and lingonberry shrubs turn bright red. The peak season lasts two to four weeks in September. Explore all the available Northern Lights Finland tours here.